This guide to the Microsoft Operations Framework provides information that enables organizations to achieve mission-critical system reliability, availability, supportability, and manageability of Microsoft products and technologies. Best practice guidance and solutions built on the Information Technology Infrastructure Library (ITIL) are provided, and have been customized for Microsoft products and technologies. 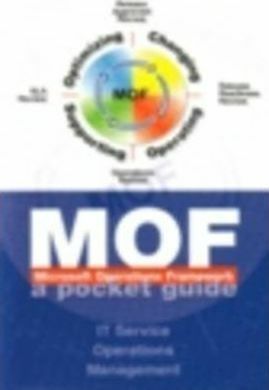 Information is also included on the development of MOF core models and specific content built on ITIL as the best practice baseline, and how to apply Microsoft products and technologies to enable support of MOF/ITIL automation.